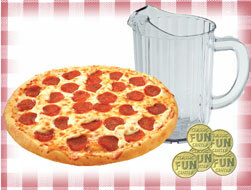 This deal includes: ONE 16" cheese OR pepperoni pizza, a Pitcher of Soda, & 20 Dimecade Tokens! Please no outside food/drinks. Thank you. 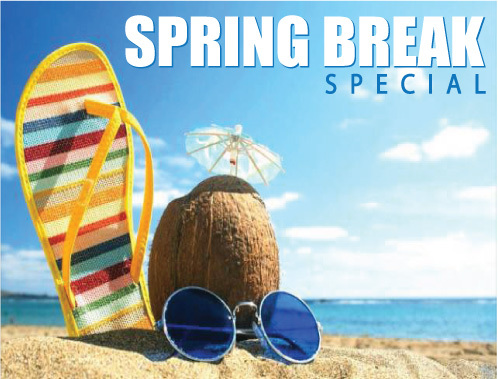 You get UNLIMITED Activities for 3 BIG HOURS plus 10 Game Tokens, 100 Tickets for the Prize Zone, a FREE Slushie and a FREE pair of cool shades!!! Activities Include: Skating, Bouncing, Pirates Cove & Laser Tag. Rollerskate rental included free. There's something fun for everyone! Thanks for shopping at Classic Fun Center! (Layton Location) If you are not entirely satisfied with your purchase, we're here to help. Returns: You have 30 calendar days to return an item from the date you received it. To be eligible for a return, your item must be unused and in the same condition that you received it. Your item must be in the original packaging. Your item needs to have the receipt or proof of purchase. Returns are to be done at the same location you picked up the item from. Shipping: You will be responsible for paying for your own shipping costs for returning your item. (or simply deliver it to the same location you picked it up from.) Shipping costs are non­refundable. If you receive a refund, the cost of return shipping will be deducted from your refund. Items Not Eligible: Items used and/or not in original packaging and condition cannot be returned. Items can only be returned to the location they were purchased and picked-up from.